India is the only country where all kinds of climatic and biogeographic conditions can be found. From the cold mountain snow regions of Ladakh trek to the plains of Gangetic and Brahmaputra and Rajasthan's Thar Desert, each place has its own meaning in terms of flora and fauna. Natural Biosphere simply put, these are places where special ecosystems are preserved ; ecosystems and specialized environments where for various reasons, including the threat of extinction, flora and fauna need to be nurtured and preserved. Nilgiri Biosphere in Tamil Nadu , Gulf of Mannar Biosphere in Tamil Nadu, Sundarban Biosphere (West Bengal ), Nanda Devi Biosphere are some of the world famous Biosphere in India where natural beauty is in abundance. Because of Natural and man made threat to the biodiversity Indian government had developed strict guidelines to preserve several biosphere reserves in India. One among these biosphere is Pachmarhi which is eleventh biosphere, in Hoshangabad district of Madhya Pradesh. Truely adventurous and blessed with abundant beauty, Panchmarhi is the queen of Satpura. Do plan a trip to Panchamarhi and visit with a chauffeur driven cab from your convenient location. Narrow Bridged paths leading to peaceful natural beauty of wild bamboo groves, religious shrines and a multitude of wildlife species and dense sal forests make Pachmarhi a true treasure for tourists. A touch of pure and virginal atmosphere, these days not a very common phenomenon. Sharing its natural boundaries with Hoshangabad ,Betul and Chhindwara the must visiting highest peak in Pachmarhi is Dhoopgarh,also famous for its sunset. The Pachmarhi Biosphere Reserve has three wildlife conservation units – the Bori Sanctuary, the Satpura National Park, and the Pachmarhi Sanctuary. Blessed with the prominent source of Tawa Reservoir Pachmarhi Biosphere has several water bodies. The type of forest here is deciduous with the forest dominated by teak trees and salt trees. In and around the Pachmarhi Biosphere Reserve, more than 511 villages can be found.Apart from human habitant it is home to some of India’s major wildlife species like Skinks, Geckos, Cobra, Pythons ,Malabar Pied hornbill , Malabar Whistling Thrush and even the Crested Serpent Eagle Large mammal species include Tiger, Leopard, wild Boar, Gaur (Bos gaurus), Chital Deer (Axis axis), Muntjac Deer, Sambar Deer (Cervus unicolor), and Rhesus macaques can be spotted unlike anywhere else in the country. Cave paintings in Pandava Caves and a presence of Buddhisum in its architect with a dense reserve of teak forest, Pachmarhi is virgin beauty in itself. Chauragarh- hundreds of Steps to reach temple and experience panoramic view.Perfect for trek lovers. Pandav Caves, Dhupgarh (Famous for most beautiful sunset), Guptmahadev, Apsara Vihar. RailRoute - Nearest Station Pipariya but may be reached through Bhopal, Itarasi, Jabalpur located on central line. RoadRoute - – Number of Cab Service providers are available serving tourist on daily basis. Cab hire Bhopal , Book Cab Jabalpur ,Car on rent Nagpur are some of the services which provide hassel free services. World Heritage sites are managed by UNESCO. The International World Heritage programme recognizes sites of cultural importance such as forests, mountains, islands, deserts, monument, building, complex or a city as Heritage Sites for the preservation of cultural heritage. These sites will be maintained under the supervision of UNESCO. The criteria for selecting a site as Heritage site is that it should represent outstanding universal significance in terms of cultural contributions. The sites will be listed by each country and then, the International committee decides after examination of the prominence of such sites. India has many World Heritage sites. Let us focus upon Maharashtra state. Four sites have been listed under the World Heritage Sites program in Maharashtra. To visit and explore these places you will need a well travel plan and for this either you can go by railway or can think of hiring a cab because that would be a insightful travel experience for you as it will pick up you from your location and drives you to each site which offers unique and fascinating experience. This is a railway terminus located in Mumbai. This is a colonial structure named after the Queen Victoria. This railway terminus was renamed in 1996. The terminus was built was completed in 1880 during the British era. The monument is still active and is a major railway terminus in India. It is popularly known as CST, which was under terrorist attack. The railway terminus is built in the Victorian Gothic style comprising beautiful carvings. It became a World Heritage Monument in 2004. Situated about 100 km from the city of Aurangabad in Maharashtra these rock cut caves are well known for paintings. These caves were discovered by British officers in the 19th century. These caves date back to 100 B.C. All are Buddhist Caves. 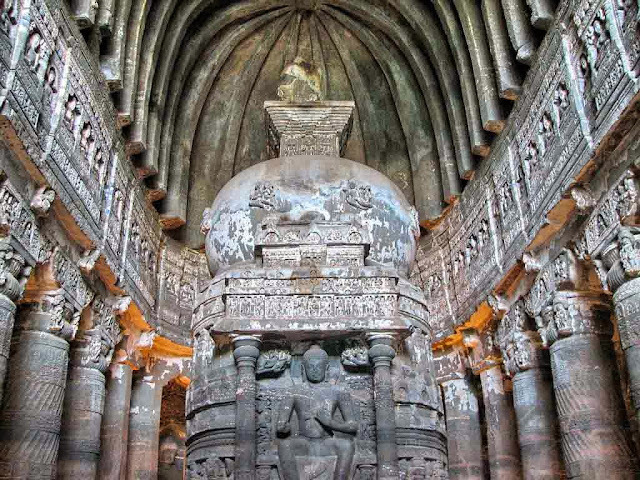 Ajanta caves are one of the prestigious monuments of India. One would marvel at the skill of Indian artisans. Details of the life style belonging to that period are displayed through paintings. Ajanta caves can be approached by road. Hire taxis or take the MTDC tourist buses to reach Ajanta from Aurangabad city. 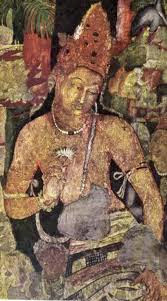 Ajanta caves are protected by Eco-Conservation program. So, public vehicles are not allowed inside the premises. Public or private vehicles would drop you at the T-point and from there the tourists will be taken in an Eco-friendly bus. It takes about 5 minute to reach the cave site from the T-point. Ellora rock cut caves are situated at about 27 km from Aurangabad city. There are 34 caves in total belonging to Hindu, Buddhist and Jain traditions. They were built in various periods spanning from 5th to 11th centuries. Kailas Nath Temple, which is known for its magnificence is a single rock cut temple. Ellora can be reached by road. Aurangabad is the nearest destination for accommodation and transportation. You can visit the Daulatabad Fort on the way. These 7th century caves are located on an island in the Arabian Sea near Mumbai Coast. Elephanta caves are located at about 9 nautical miles from the Gateway of India. You can reach the site by ferries. Regular ferries are available near the Gateway of India. In 2012 UNESCO gave world heritage site status to 39 sites of the western ghat. The mountains cover an area of about 160,000 sq km (61,776 sq miles) stretching from the country's southern tip to Gujarat in the north to a place near Kanyakumari in Tamil Nadu. Western Ghats forests are home to at least 325 globally threatened flora, fauna, birds, amphibians, reptiles and fish species. Wester ghat is recognised as one of the world's eight "hottest biological diversity hotspots"
Mollem, Agumbe [Karnataka], Coonoor[Tamil Nadu], Dandeli [Karnataka], Kalpatta Wayanad [Kerala], Valparai [Tamil Nadu], Madikeri, Coorg [Karnataka]. Travelling flows in Indian blood, be it solo , group or family vacations. Often, unaware about exotic locations we end up paying fortunes on foreign trips. Among 500 biosphere's Reserves across the world, India has total 18 reserves . Explore with Clear Car rental, the most beautiful locations in and around Madhya Pradesh.Untampered, rich with unique Flora & Fauna Achanakmar-Amarkantak Reserve has breath-taking natural beauty which is also a home for many endangered species like Four horned antelope. A must visit location for nature lovers ,located at the origin of great river “Narmada”,this biosphere is shared by two more rivers i.e Joshila and Son. A perfectly distributed combination of tropical dry and moist deciduous forest, conserving the natural resources and ancient tribes residing in deep forest. Bauxite Rock Plateau, Achanakmar -Amarkantak share its breath-taking beauty with 2 states Madhya Pradesh and Chhattisgarh covering a huge area which is 383,551 Hectares. Though a bit risky ,this Biosphere has its best view in the monsoon season but best season to visit this region is November to June. Government statistics says that, this Biosphere is a blissful home for tigers, panthers, bears, Chitals, sambars, barking deers ,bison (gaur) and around 170 bird species. Moving deeper in the Biosphere one might also witness blackbuck, chinkara, wolves, foxes, Jackals, wild boar, monkeys samarth and giant squirrels ananya. Other Places to Visit- Kapildhara, Temple of Kalchuri era ,Narmada Kund, Shri Yantra Mandir, Kanha National park and Bandhavgarh. Jabalpur & Raipur are the nearest airport well connected to Mumbai, Delhi, Nagpur, Hyderabad, Kolkata, Bangalore, Vishakhapatnam and Chennai. You can take a airport transfer taxi by booking it online prior to your arrival because that is suitable options to ensure you will have a cab available to reach Achanakmar-Amarkantak Reserve. All major Trains are well connected to Madhya Pradesh Bhopal , Jabalpur , Katni, Ujjain, Raipur & Bilaspur is the nearest railway station. Local taxis/Cab, buses and private vehicles are available for transportation from Bhopal, Itarasi , Durg , Pendra & Bilaspur. Visit Clear Car Rental's Official blog to explore more such locations.